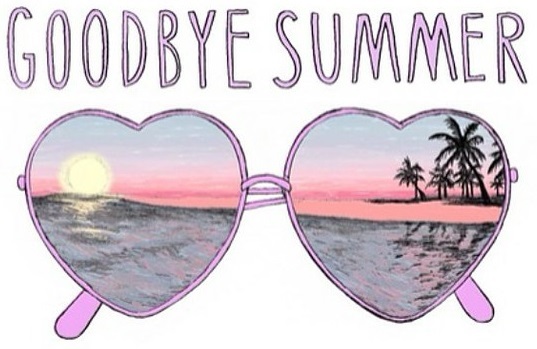 August has been and gone, and summer is quickly becoming pretty much over which makes me so sad. I thought I'd be a question and answer tag to share with you all everything which has happened this August with me and my life. 1. Did anything happen that made you very happy this August? Yeah it did, but I'm gonna be talking more about that in an upcoming blog post so for now, my lips are sealed. 2. Did anyone get pregnant this August that you know? Loads of people announced that they are pregnant either late July or early August. Must have been something in the water this year, LOL. 3. Did anyone have a baby this August? Yes. Two of my friends had beautiful baby girls. 4. Do you know anyone who got married? My uncle got married yeah. 5. Do you know anyone who got divorced? Nope, no-one I can think of. 6. What is your favourite thing about August? 7. How many times did you go to the beach? I didn't. I'm not too much of a fan of the beach as it's hard for me to walk on it, I'm unable to sit in the sun due to my chemotherapy tablets and also my wheelchair would get stuck in the sand. 8. Did you go camping at all this month? 9. Did you roast marshmallows? 10. Were you single or taken this month? I have been happily married. 11. Did anything make you cry? A lot has made me cry. Which makes me so sad. 12. Is there anything about this month that you hate? Yes. But there is a blog coming on this soon. 13. Tell us something embarrassing that happened this month? I dropped a cup of tea all over myself, our living room coffee table and rug, and our poor little puppy Daisy. 14. Tell us something funny that happened? Phil hurt himself on Daisy's baby gate and it made me giggle so much! As horrible and sad as it sounds, I think it's really funny when people hurt themselves. I love to watch FailArmy on YouTube for this. I'm a horrible person I know, haha! 15. Did you do anything illegal this month? 16. What emotion did you feel for the majority of the month? 17. Best movie you saw this month? 18. Tell us something you bought this month? I don't think I have bought myself anything this month. 19. Who did you hang out with the most this month? My husband, my bestie and my family. 20. Did someone get on your nerves at all this month? 21. Did someone close to you pass away this month? 22. How do you think the rest of the month will go for you? 23. Did you kiss on the lips, more than one person this month? 24. Did you receive flowers from anyone this month? Nope. I'm not much of a flower person. I like fake flowers. 25. Did you blow bubbles this month? Nope. I haven't blown bubbles in ages. 26. How was the weather this month? 27. Did you have any parties? 28. How many times have you gotten drunk this month? A couple. Maybe two or three. 29. Did you go through any life changes this month? 30. What lesson have you learned this month? Don't let anyone stop you. You can do this. How has August been for everyone? Hahaha you and I are so similar - watching people trip over or hurt themselves - basically anything considered accidental slapstick is too funny for me. Loved learning about what's been going on with you in August! I hope you were okay after spilling tea over you and Daisy! This was a really fun and different post. Love this post, good knowing a little more about you. I miss summer already! No.30 is such an important lesson to learn, and I'm glad that despite the bad times, you've taken a positive message away from it! P.S. I think it's rather funny when people fall over etc. too - You've Been Framed was my fave show as a kid!